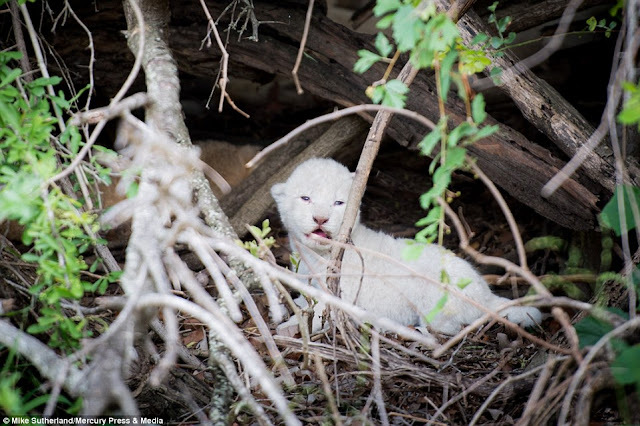 'This new cub is now the only one of its kind in Kruger and was born to two tawny-coloured lions.' 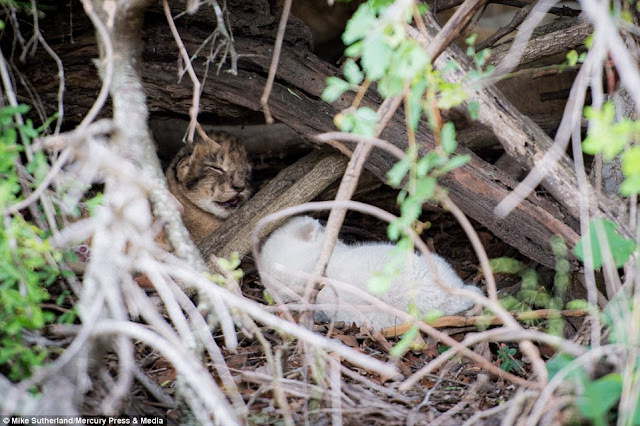 Two wildlife photographers snapped the four-day-old cub in a den at Kruger National Park, South Africa. 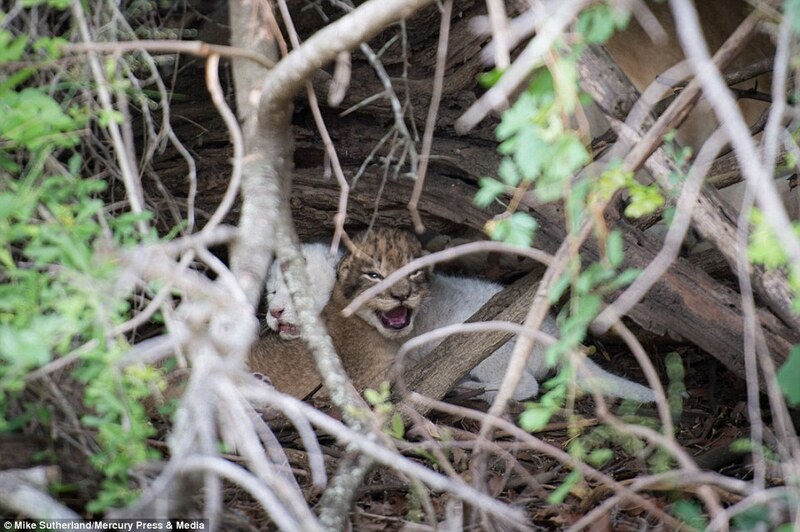 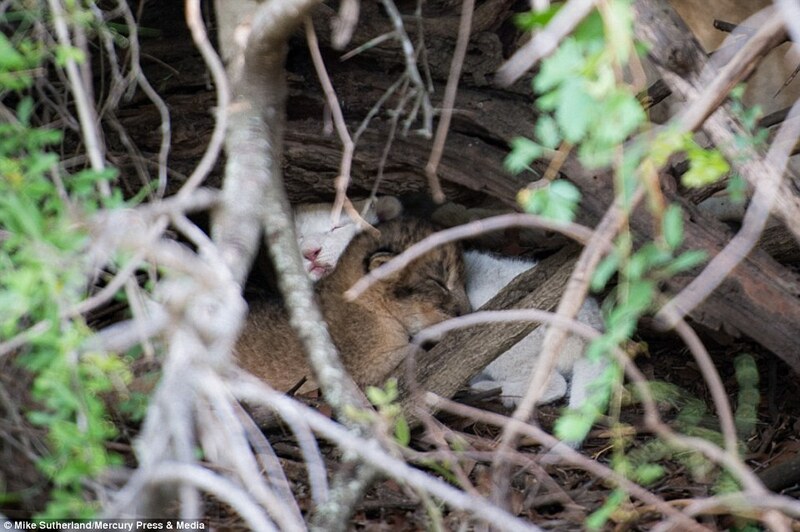 Two wildlife photographers were lucky enough to snap the four-day-old cub as it hid with its mother and siblings in a den at Kruger National Park. 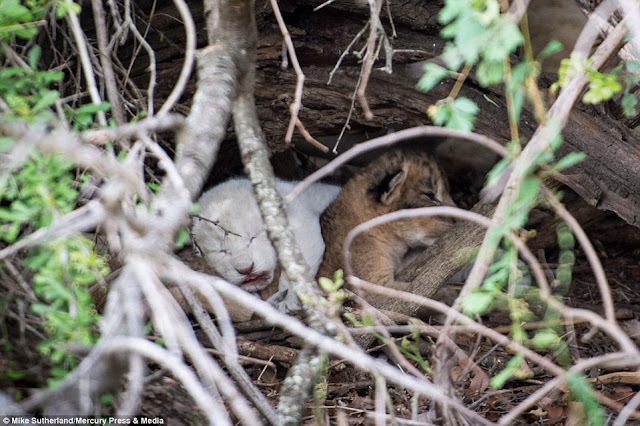 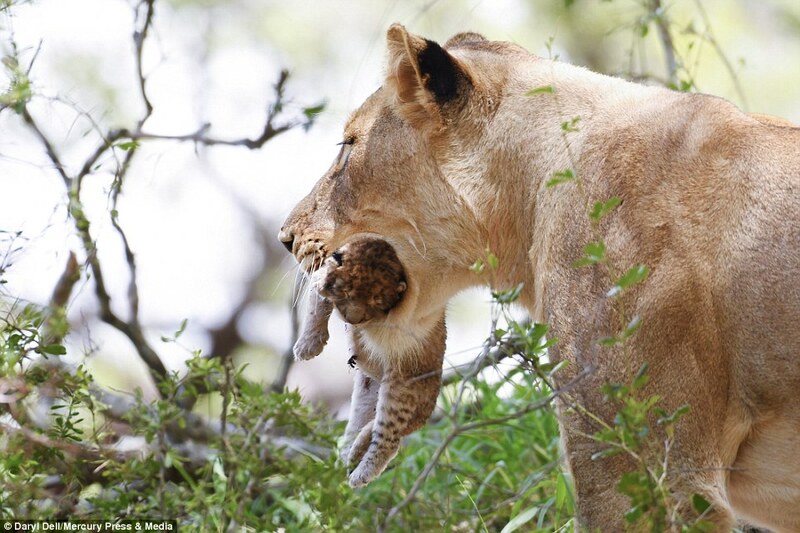 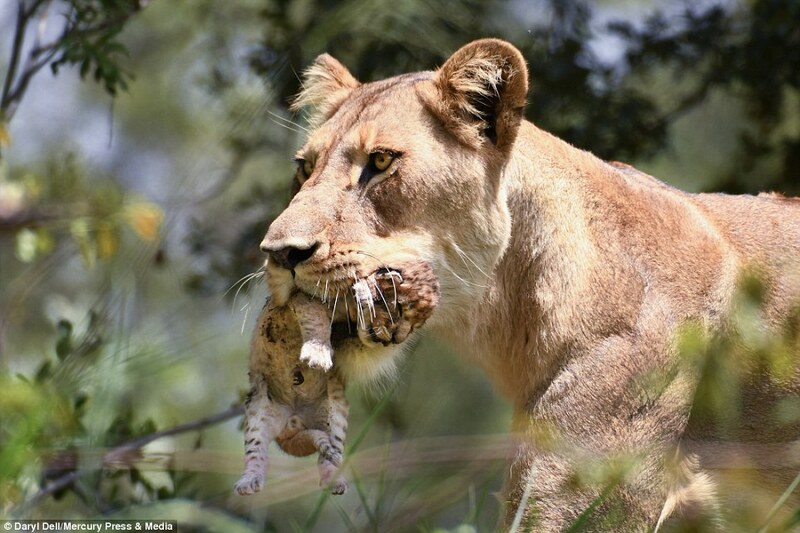 Before other tourists on safari flocked to see the lioness and her three cubs, Mike Sutherland, 30, managed to capture the first photo of the newborn. 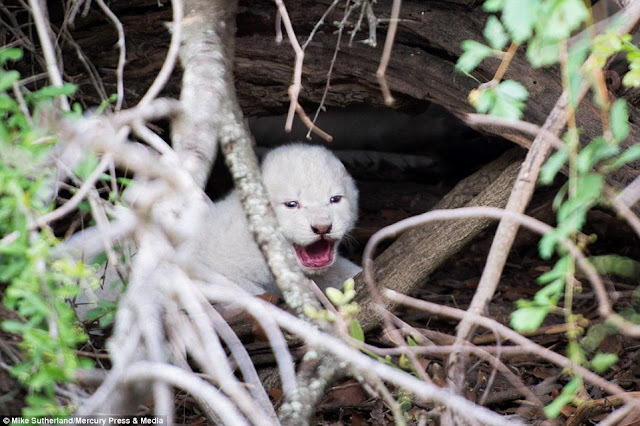 The safari guide and photographer had been taking a group of guests on a tour from the Ngala Safari Lodge last Monday when he was told of the cub sighting and rushed to the national park to catch a glimpse of the new arrival. 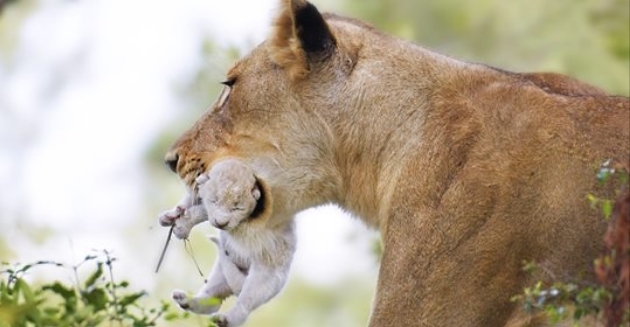 Another guide and photographer Daryl Dell, 40, said he would always cherish' the moment he caught the tiny cub being carried by its mother in front of him. 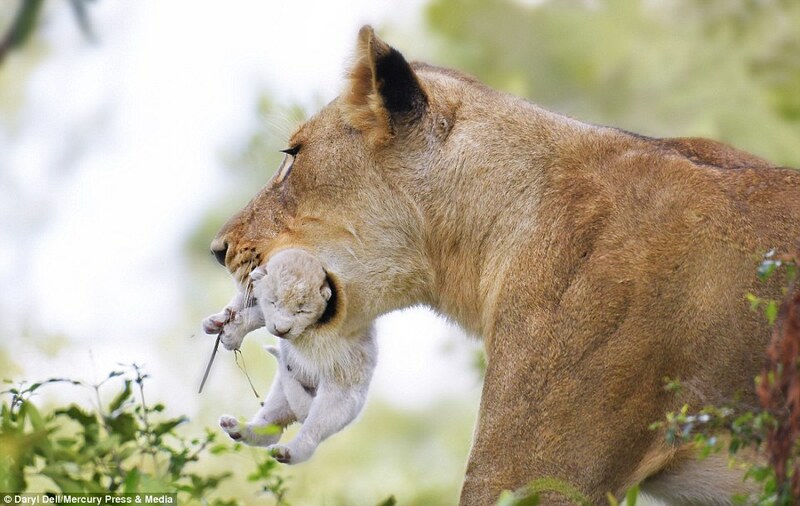 'This was a once in a lifetime moment - a moment that I will never forget and always cherish,' he said. 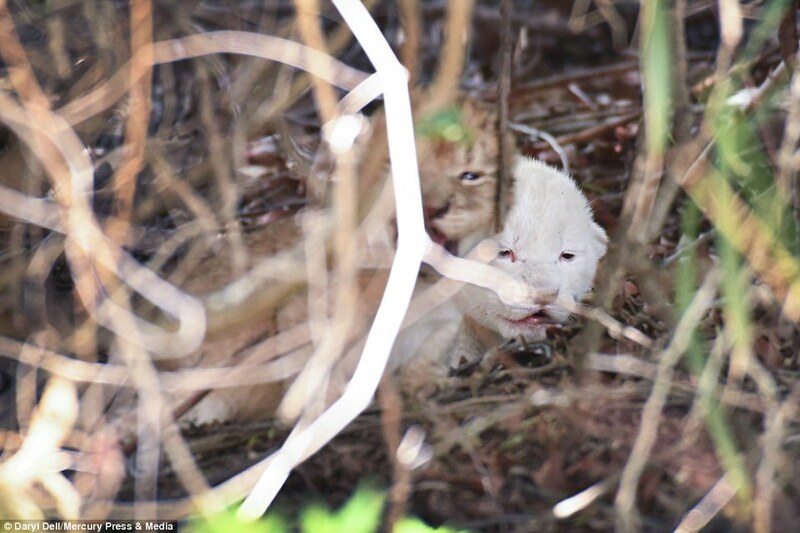 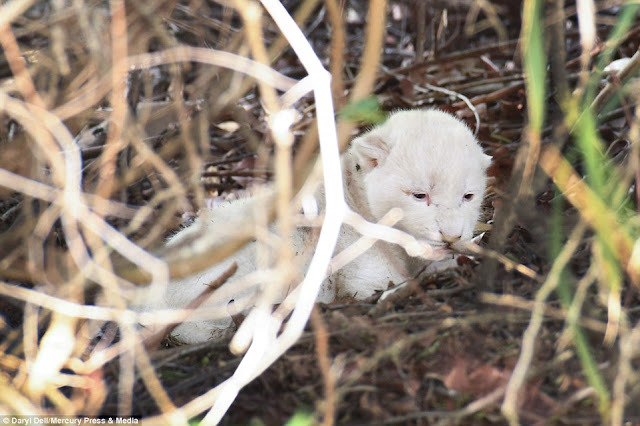 Responses to "First ‘critically endangered’ white lion cub born in three years in South Africa"